I'm exhausted, I'm jet-lagged, and I'm probably on the verge of illness—but nothing can stop games news, and so nothing can stop me from bringing you Missing Pieces. Except, you know, for the weeks where I've missed it. But we can pretend those didn't happen. This week brings new beginnings: A second Disney Infinity, a revamped BioShock, and the Xbox going where no console has legally gone in a very long time. Here's all the game news fit to print for the week of April 28. For a game called Disney Infinity, it's interesting how few traditional Disney characters are available. The streak continues with Disney Infinity 2.0, though I can guarantee the game will probably make buckets of money regardless. That's because Disney Infinity 2.0, revealed earlier this week, is (as per the rumors) Marvel-themed. Thor, Black Widow, Captain America, Hulk, and Iron Man are confirmed as new characters. Presumably more non-Avengers are on the way as well. All the original Disney Infinity characters are usable in the new game, which will also revamp the creative Toy Box mode to be larger and more newcomer-friendly. In an age where a shooter's campaign feels more and more disposable, Bungie is taking the opposite tack with its upcoming title Destiny and requiring you to play through the single player portion prior to unlocking multiplayer. Or at least part of it. Bungie says you'd be underpowered if you jumped into multiplayer from the very start, considering this is a loot-driven game. You'll need to play a few campaign missions to get up to speed before heading into multiplayer—a process Bungie's Tyson Green told Eurogamer could take "a couple of hours, tops." First, a moment of silence for our lost youth as we remember that BioShock is now nearly seven years old. And while Rapture doesn't look ugly nowadays, it certainly doesn't look quite as impressive as it used to. YouTube user noodlespagoodle ported assets from BioShock into Unreal Engine 4, however, and the effect is stunning. There's a bit too much bloom in some areas, and some of the textures are lower-resolution than modern games, but BioShock looks good again. It's like a digital botox injection. Following AMD's recent revamp of its free game offerings, Nvidia announced that any qualifying GeForce GTX card will now come with a complimentary copy of Watch Dogs. Qualifying cards include the GTX 660 and 660Ti, 670, 680, 690, 760, 770, 780, 780Ti, and Titan Black, and the deal is being offered through retailers like Amazon and Newegg. The downside? Codes are only redeemable through Ubisoft's Uplay service. No Steam codes appear to be available, as far as I can tell. "Xbox, go on sale in China"
China recently lifted a 14-year-ban on video game sales, and Microsoft is leaping to take advantage—the Xbox One will go on sale in China starting in September. The news follows a recent report that claimed the potential games market in China is larger than the entire United States' population. There are still restrictions, of course. China has disallowed any games that promote violence and/or drug use, which is...well, quite a few of them. We'll have to see how stringently those bans are enforced as time goes on. 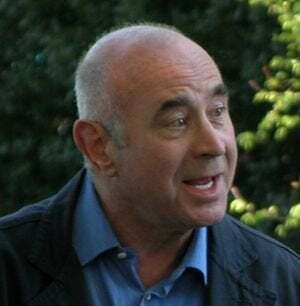 Bob Hoskins died this week at the age of 71. While my favorite Hoskins film will always be Who Framed Roger Rabbit?, there is a certain charm to watching him play Mario in Super Mario Bros., which is also affectionately known as "one of the worst films ever made." Even Hoskins admitted it, once calling Super Mario Bros. "a #%$@$ing nightmare." Repeatedly. Seriously, it's a great movie. You should watch it. It's been a long week of travel for me. First I went to New Mexico to help dig up E.T. from his landfill grave. Then I flew out to Iceland, where I've been covering EVE Fanfest for the past few days. CCP unveiled an enormous monument to EVE Online in Reykjavik and then gave us a hands-on with the new EVE: Valkyrie build— now with 100% more Katee Sackhoff (Starbuck from Battlestar Galactica). 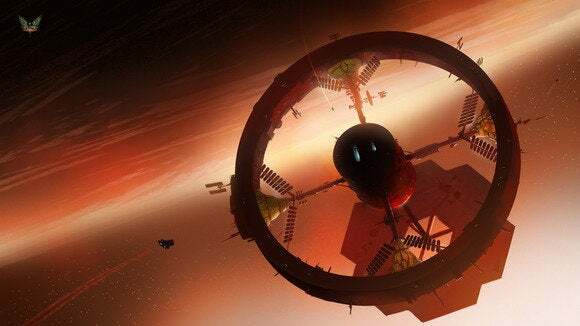 The company also unveiled Project Legion, a PC-focused 'open universe' shooter set in EVE Online's New Eden, along with Kronos, a new EVE Online expansion. And since I can never get enough of space, I also threw up impressions of the Elite: Dangerous alpha. In other news, our own Mark Hachman discusses the high cost of Xbox Live, ZeniMax is taking legal action against John Carmack and Oculus VR, Nvidia's tiny Linux-based board could be used as a gaming PC, AMD has signed up forty development studios to use its Mantle API, the next Call of Duty is chock full of Kevin Spacey, and the SteelSeries Sensei Wireless is a damn good mouse—provided you're willing to pay.